You have made the brave move and are now on the journey to having a successful business of your own, you need some exposure; you need a logo, a website, a leaflet, business cards and some digital marketing. What are the options available and where do you begin? BamBoo that’s where! 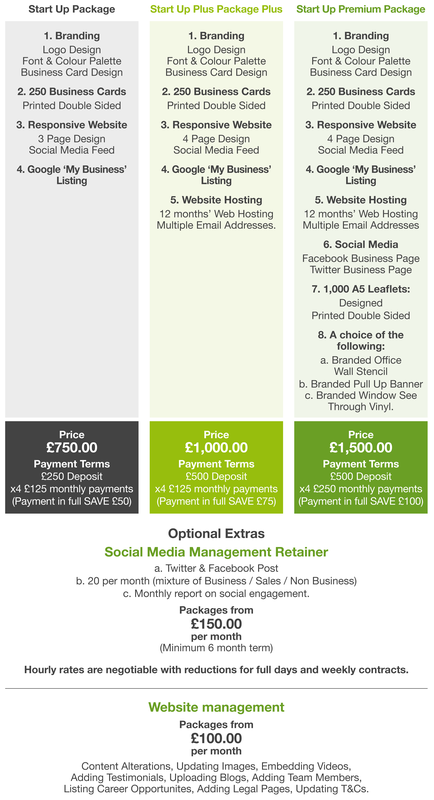 Business startup packages to suit your needs, you can even spread the payments. So let’s start a project and go on a journey together! and my number is .